Winter is here, and with it comes cold weather causing you to spend more hours indoors than out. Rather than let Old Man Winter give you the blues, use your time inside free up space and begin to downsize for retirement. While scaling down may seem like a daunting task, there are many obvious places to start, like spare closets, garages and extra bedrooms. Sort through items carefully to identify family mementos to pass onto younger generations and things that can be donated to charity or thrown away. 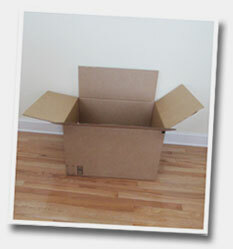 Where ever and whenever you begin, keep one goal in mind – downsize, downsize, downsize! Kitchen Appliances – If you haven’t ground your own coffee beans, squeezed your own citrus juice or made your own pasta in years, it’s time to take back the cabinet space. You can also eliminate serving dishes, extra plates, etc. to make room for a smaller kitchen in a retirement community. Entertainment Equipment – In a small apartment or cottage, you may not have room for large entertainment centers or old, large televisions. Scale back the furniture on which your television set is displayed and watch for store promotions in the fall and winter if you wish to purchase a more compact, better quality and lighter weight TV. Outdoor Furniture – If you enjoy spending time outside, there’s no reason to stop doing it when you’re retired! Look for ways to reduce the size or amount of your patio furniture, because chances are, the space in a retirement community will be smaller than in a residential development. If you need to buy new furniture, wait until the end of the summer for reduced prices on patio sets. Bedroom Furniture – Most retirement communities offer one or two bedroom residences. Consider donating furniture from additional bedrooms that don’t have nostalgic value. In addition, consider keeping smaller pieces over larger ones in the event that your new bedroom(s) are smaller than in your current home. Holiday Decorations – As you celebrate holidays throughout the year, donate any decorations you haven’t used or those to which you have no sentimental attachment. In addition, you can eliminate items in storage by decorating for the season instead of specific holidays – i.e. winter themed décor vs. Valentine’s Day or St. Patrick’s Day. Outdoor Maintenance Equipment – Many times, retirement communities will handle the lawn care, snow removal and general landscaping for Residents. So, you won’t need equipment like lawn mowers, snow blowers or leaf blowers, etc. Childhood Memorabilia – If you’ve been storing artwork, prom dresses, bridesmaid gowns and other items created or used by your grown children, it’s time to talk to them about taking the things they want to keep and donating the rest to charity. Clothing – If you haven’t worn an article of clothing in the past year, free up the space by donating or consigning it! A popular way to determine unnecessary clothing is to turn the hangers backward in your closet, and at the end of the season, anything that is not facing the correct way can be eliminated from your wardrobe. Old Documents – If you have a filing cabinet full of documents over a decade old, consider cleaning out. Look up recommended time periods for retaining certain items like tax filings, medical bills, etc. and shred anything with personal information like social security numbers or account numbers. As you approach retirement, it’s important to not only understand the financial aspects, but to be prepared to embark on the journey itself. If you plan to move into a retirement community like St. Anne’s, downsizing is essential and tackling it early can help minimize the stress of doing it at an older age, completing it within a short timeline or leaving it to your children, relatives or friends in the future. The task might even take you on an unexpected and enjoyable trip down Memory Lane. Good luck and happy downsizing! If you’re like most people, you have probably been thinking about retirement since the first day of your first, full-time job. As you embark on the journey, or find it just within your grasp, you should consider how and where you want to spend your time. When considering a retirement community, it’s helpful to understand your options to find the place that best suits your lifestyle now as well as in the future. Retirement should be a time to do the things you love. Whether it’s exercising daily, relaxing with a book or playing cards, it’s important to look for a senior community with offerings and events of interest to you. At St. Anne’s, we plan regular activities for all levels of interest and ability. In addition, our Residents enjoy the convenience of an on-site library and café, and can take advantage of transportation to nearby recreational centers, restaurants, shopping centers and more. Initially, you may be downsizing or seeking maintenance free, independent living in a senior community, however it is important to consider more skilled care you might need in the future. St. Anne’s offers all levels of care and independence including private cottages, independent living apartments, personal care, skilled nursing care, memory support and restorative care. Once you are a member of the St. Anne’s community, we are committed to your care and prioritize your placement into more skilled care should the need arise. While many retirement communities offer similar levels of care and activity, it is the Christian connection that can set one apart from another. If you want attend weekly worship services, consider a faith-based institution or one with close proximity to a worship center and transportation opportunities to get there. St. Anne’s was founded by Catholic nuns and we take pride in our Catholic sponsorship, so Residents can attend the Rosary and mass on a daily basis. In addition, we welcome all our Residents, approximately half of whom are non-Catholic, to take part in interdenominational worship services every Sunday afternoon. It’s important to ask questions around costs to “buy in” to a retirement community. For example, do you have to sell your home to be able to afford to move into the community? It’s also important to understand care an institution will provide should your finances become limited or exhausted. At St. Anne’s, we understand the bottom line and want you to understand it too. Our staff takes the time to explain costs and fees and guide you through every step of the application process. In addition, we do not turn away current Residents should their finances become limited. To understand the atmosphere of a retirement community, talk to the organization about the people and staff who walk the halls. You can also speak with Residents about their experiences and if they are happy with their decision to live there. If you’re looking with a spouse, ask about other couples residing in the community and how future placements into more skilled care are handled. In addition, you should inquire about waiting lists and the typical amount of time it takes to become a Resident. 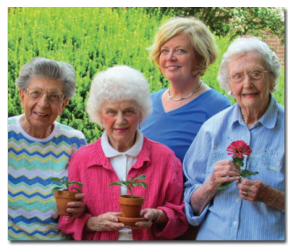 St. Anne’s is a diverse retirement community open to individuals 62 years of age and older. Our entire staff takes pride in providing a clean, caring and faith-based environment where Residents can live and thrive – from independent living, to personal care, skilled nursing care, memory support and restorative care. We welcome couples as well as individuals and, once you’re a Resident, there’s always room for you in any area of care. Choosing how and where to spend your retirement is a decision that’s a lifetime in the making. So, when considering retirement communities, schedule tours, ask questions and explore all your options and you’re certain to find the best place for you! To set up a tour of St. Anne’s campus, apartments and cottages, please call 717-285-5443717-285-5443.